Moerheim India is the exclusive representative of UFO Supplies BV, Holland and representing Florissant BV for post harvest chemicals, Nieuwkoop BV for measuring equipment, Bercomex for flower processing machines, Empas for spray sets, Leyat and Metallo - Secatuers and knives for budding and grafting,Nivola - sulphur evaporators, safety equipmentand several other European companies supplying inputs for Floriculture. wholesalers,retailers, florists and the consumers. The objective is to provide inputs of a high quality to the growers for getting a high quality output and ultimately a better price realisation. Moerheims philosophy is adding value and not costs. 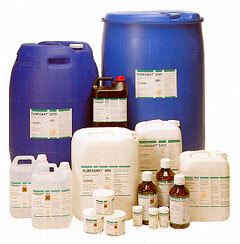 Saving chemicals and reducing the cost is our moto. Our latest introduction is the UV Crop Protector for many different crops. See our "Spraying Equipments" part. Copyright © 2007 Moerheim. All rights reserved. It is not allowed to copy or redistribute pictures or content from this site without explicit permission of Moerheim.